LCC’s Coding & Robotic Engineering Programme provides innovative active learning opportunities. This year, coding & robotic engineering will be more accessible than ever from grades 7 through 12. There are specialty courses, integrated projects, and clubs, which include professional mentors from the engineering industry. Last year, grade 8 science students used coding and robotics to set up an experiment that would help them better understand the effects of photosynthesis. This year, the experiment will be expanded, and will once again involve measuring the growth of numerous bean plants over a 30-day period. Each plant will be assigned different amounts of exposure time to sunlight. Robots will be used to lower a milk carton over the plants to keep them in the dark, or to raise the carton to give the plants sunshine. Students will program their robots to raise the cartons for their daily allotment of sunshine over a 30-day period. At the end of the experiment, the plants’ growth will be measured, and students will then formulate assumptions regarding the impact of light on the growth of their plants (view the apparatus demo and project site). 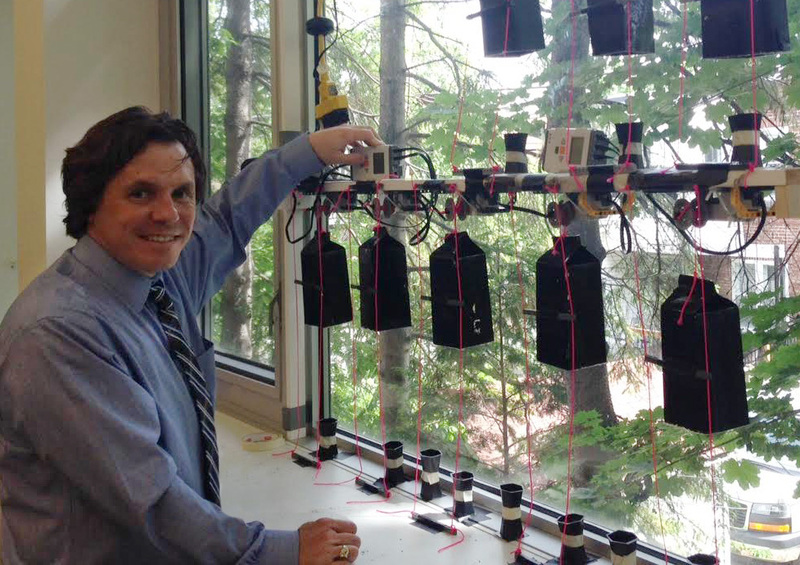 This year, approximately 100 grade 8 students will participate in this experiment led by Mr. Tukkonen, Mme. Lalonde, and Mr. Auclair. 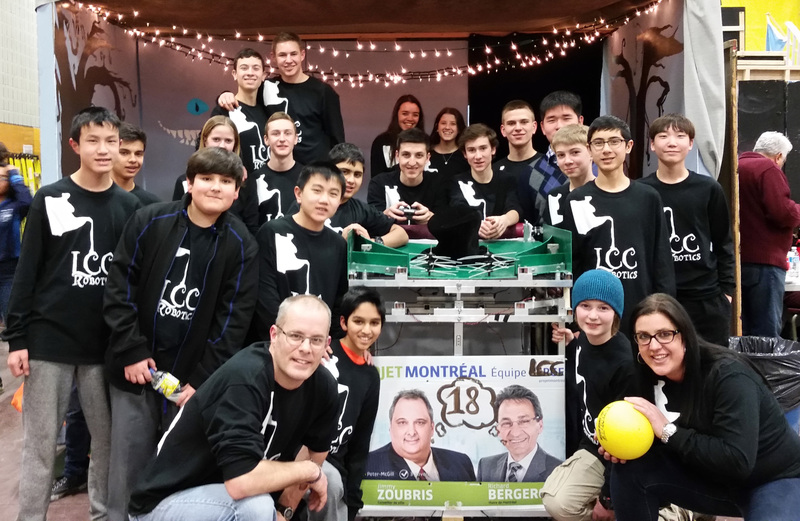 This year, Lower Canada College’s robotics team, comprised of 35 students, will be partnering up with mentors from the aviation industry as it competes in the globally renown First Robotics Competition. FRC is quite a change from the Canadian Robotics Competition (CRC) that LCC traditionally competed in; while engineering is still key, programming is also a featured skill. In fact, one of the coding platforms used in the FRC competition is Labview, an industry standard programming tool that is also used at all grade levels at LCC. Interestingly, Labview was also used to program several Mars explorers and it is compatible with LCC’s Vernier scientific sensors, leaving the door open for further cutting edge projects. This project will be coordinated by Madame Lalonde, Mr. Searle, Mr. Zuccheroso, and Mr. Auclair. 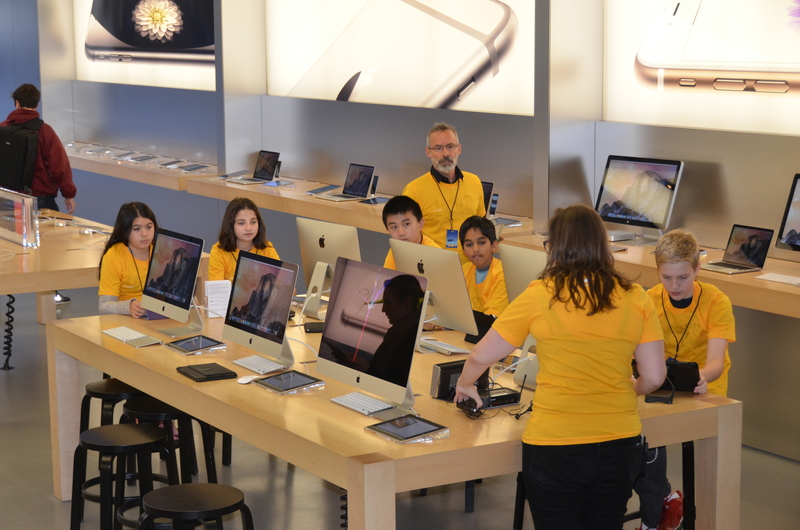 Now in its second year, Lower Canada College’s Middle School Coding Club now provides students opportunities to program on their iPads using Mindstorms. Add into this mix the latest EV3 robotic kits, and you have a recipe for some sophisticated active learning opportunities. Mr. Auclair and Mr. Tukkonen will be challenging students with a number of programming tasks throughout the year. In grade 10, students have the option of taking a computer programming course with Mr. George. Using Visual Basic in combination with Excel, students delve into the more fundamental aspects of manually coding increasingly sophisticated projects. Precision, logic, and math figure prominently in this class. Now in its 14th year, approximately 20 students are enrolled in Mr. Auclair’s Senior robotics class. This course explores concepts in physics, biology, and psychology in relation to the engineering, programming, and logic behind the design of autonomous robots. Students are provided with a variety of hands-on challenges to design and program innovative, functional robots that can make decisions on the fly. Past projects included robotic football, obstacle courses, and the development of an interactive humanoid. I spoke to students recently about a phenomenon I call “Preoccupied Montreal.” Exactly what is ”Preoccupied Montreal”? It is my way to describe our collective obsession with cell phones, smart phones, BlackBerries—or “CrackBerries” as the slang goes. Cell phone/smart phone use can actually be addictive and I have some concerns; in my view too many teenagers and adults are suffering and need to change their habits. This generation of teenagers has a timeless desire to do what every teenager has ever wanted: to be closely connected to friends. It’s cool and feels good to be “in the know.” So carrying a cell phone makes sense; they quite simply help to make our lives a little easier. However, the temptation to carry the phone wherever you go and check it incessantly rules way too many lives in ways that have become unhealthy. With the capacity to contact anyone, anywhere anytime comes the odd compulsion among many teens to text, tweet or post statements, opinions, observations, photos or videos on social media, just because they can. The feedback is instant, so clearly someone is listening: someone cares. Recent studies show that teenagers across North America send on average 100 texts/day, more than double just a few years ago. Most teens surveyed say that the cell phone is now the key to their social lives. In fact, data shows that on average, when out of school, teens spend just as much time texting as they do talking with friends. In fact, texting has become so second nature, about 60% of teens surveyed claim to be able to text blindfolded. However, the 24/7 compulsion to connect without boundaries is unhealthy and can steal balance from young lives. Some of these digital addicts are even losing sleep, even though sleep is one of the most important elements of their lives they can control. Notably, sleep has a direct correlation with better performance in school. Eight or more hours of sleep per night can translate into a 10% improvement in achievement simply because sleep stabilizes and protects memory and other brain functions. There are now a lot of studies that show that a lack of “down time” is detrimental to us—teens and adults alike. We all need to be out of reach sometimes and avoid being interrupted. This shield of protection should also extend to family meals, quiet discussions with friends, outdoor activities. I don’t suggest we throw away the technology. We need it. I think it can really help out lives. But who’s “driving the bus“ here, you or the cell phone? We’ve allowed it to seep into every corner of our lives. It’s time to create some no-go cell use zones and times in our lives beyond school. Limit its use and call back later. By then you’ll have something more interesting to say anyway. I have been fortunate to have visited India three times in my life, including visits to the bustling cities of Mumbai and New Delhi as well as a journey to the top of the world—to the Himalayan mountain state of Kashmir. I am pleased that through the Round Square LCC will send two students on exchange to India for the first time later this year. It will surely be an exceptional and eye-opening opportunity for them. When they return we all look forward to hearing about India through students’ eyes. During each of my visits to that country I have been dazzled by the colour and diversity of Indian culture. It is an ancient society currently progressing at an incredible pace. The city of Bangalore—India’s Silicon Valley—is a leading centre of high tech creativity and a symbol of India’s commitment to innovation. With a population of well over one billion people—about thirty times greater than Canada’s on a landmass about one-third size of Canada’s—India is a country challenged by its need for resources and the provision of education and health care to its huge population. 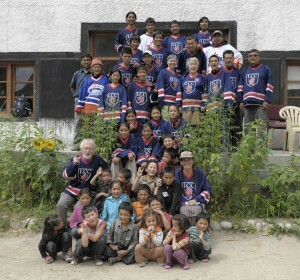 In recent years, LCC has partnered with Health Inc., a small non-profit organization committed to bringing literacy, health care and community-building activities to India’s most remote villages—on the top of the world in the northern state of Ladakh in the Himalayan mountains. 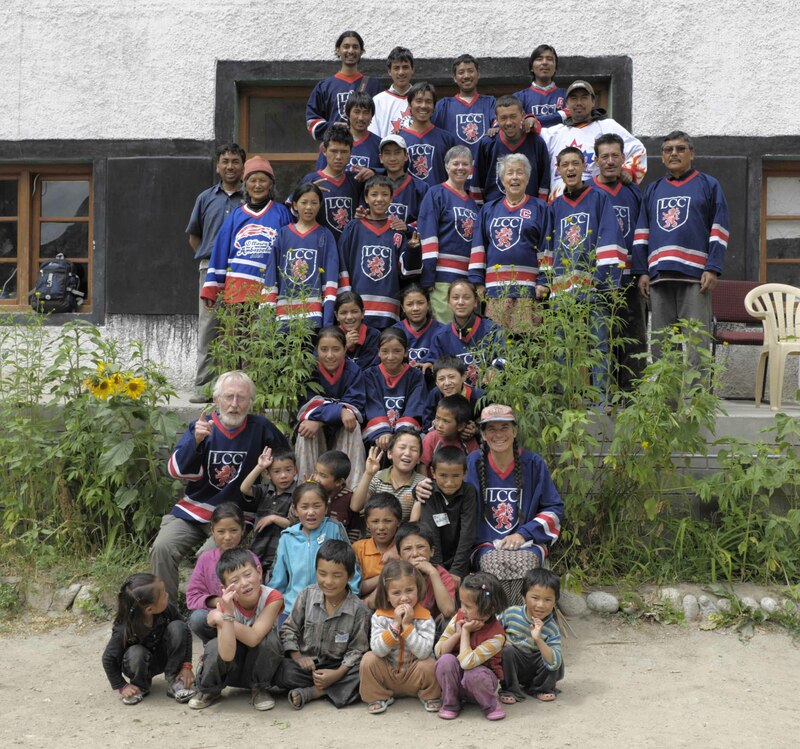 Our newest venture is The Global Classroom Initiative; a special partnership between LCC and Health Inc. We are currently hosting Health Inc.’s founder Cynthia Hunt and three young Ladakhi leaders-in-training on a special educational exchange that will continue until mid-December. In addition to following some of our daily routines in classes and on the hockey rink, this group is focusing on learning IT skills so they can be proficient at making videos. They will then be able to teach other Ladakhi students to tell video stories to us and to the world. Last Saturday morning a bright light pierced through dark rain clouds that hovered over Royal Avenue. 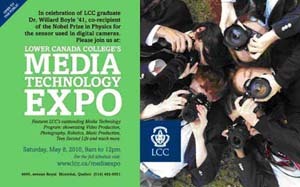 It was the light of creativity and innovation beaming from one of LCC’s “lighthouse programs”—applied digital media. We held our first Digital Media Expo, an event for the general public and our own extended community. 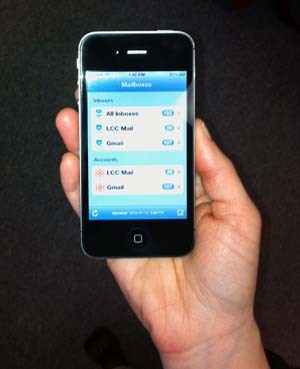 In recent years, LCC has developed a strong integrated approach to information technology. This begins in our primary years and continues with a well-supported laptop program in the Middle and Senior Schools. The focus is not on equipment and hardware, but how these tools can be applied to unlock the creative energy of our students. I was very impressed by the work of our students on Saturday morning, which included: video production, green screen applications, integration of special effects, and useful musical software for sound production and refinement of instrumental skills. Our students were proud, energetic and completely engaged.